Here is a photo of our new packaging. Many of you have let us know that you're enjoying the new 1-lb. size packages of our products. It gives you an opportunity to "try out" a new sprouted product. We're excited about our new look. Thanks for all the positive feedback. We filled thousands of orders during our Free Shipping campaign in July. If you missed out, remember that our $12 flat rate shipping on all orders of 30 pounds or more is available year-round. Have you checked out www.truesprout.org yet? This is our new educational site with lots of links and information on the benefits of sprouting. We hope to soon begin building the site again adding true sprout products and a list of stores that carry these quality products. We'll also add lots of recipes and baking tips for using sprouted flours. Hard to believe August is back-to-school month for most children. Have you tried Girls On The Farm Sprouted Grand Granola for a great school time snack? We're keeping the Girls busy On The Farm trying to keep up with all the orders coming in. We hope you are enjoying this healthful new snack and hope to get the nutritional panel uploaded to the web site soon. In the meantime you can email us at info@healthyflour.com for an ingredient list and nutritional panel. Adapted from recipe posted on blog - Dyno-Mom.com. A great blog site if you haven't visited yet. Line a baking sheet with parchment paper. Preheat the oven to 450 degrees. Mix together the flours, baking powder, salt, and lavender. Pour the honey and half the cream over the dry ingredients and stir lightly until combined. Then add the rest of the cream and work into a smooth mass. Turn out the dough and fold about 10 times on a lightly floured counter. Roll out to about 3/4" thickness. 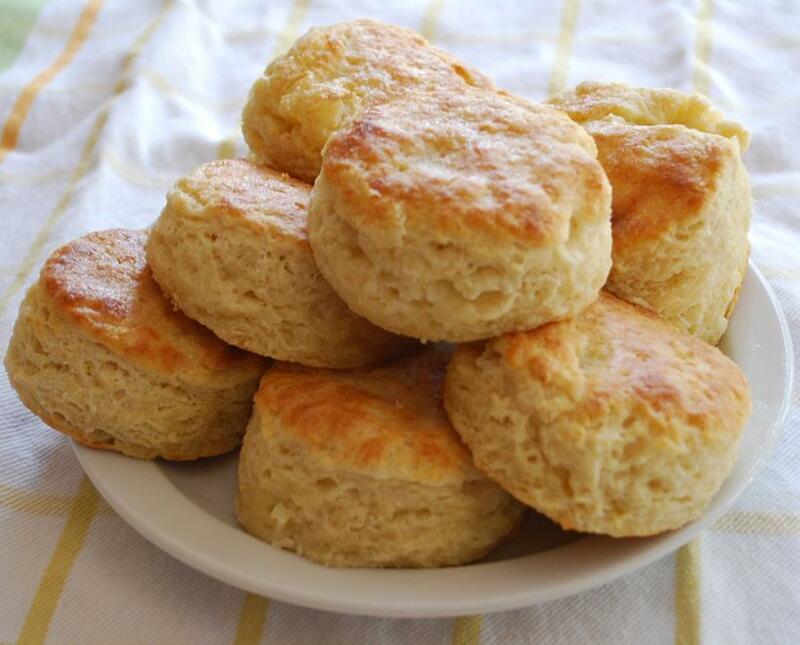 Cut with your favorite biscuit cutter, combine remains and cut or shape rounds until dough is all used (about 12 biscuits). Bake for 14-17 minutes until golden on top but still pale on sides. Serve hot with lots of butter! You can purchase fabulous sprouted pasta at www.MySmartPasta.com to accompany this recipe. Preheat oven to 350 degrees. Toast pine nuts and pecans in a single layer in a shallow pan about 8 minutes or until lightly toasted and fragrant. Let cool 5 minutes. 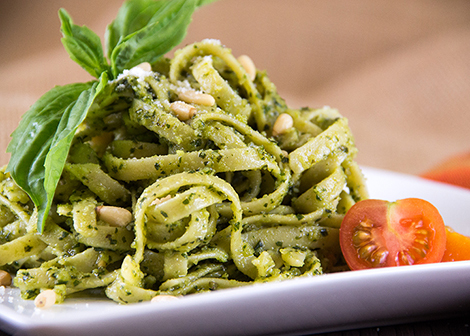 Process basil leaves, parsley, and garlic in a food processor until a coarse paste forms. Add nuts and Parmesan cheese, and process until blended. With processor running, pour 1/3 cup olive oil through chute in top in a slow, steady stream. Process until smooth. Serve over Anthony's Smart Pasta and enjoy! In a large bowl using a spoon, mix together all ingredients except okra and fat. Fold in the okra. Heat lard on medium high in large cast iron or ceramic skillet. 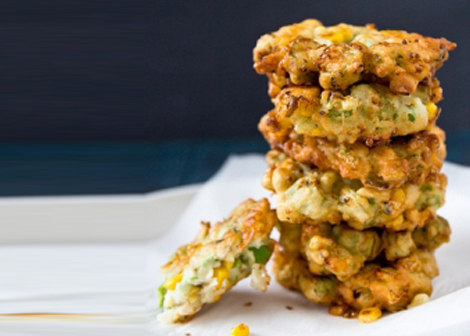 Drop okra mixture by spoonful's into the hot fat (about 1/4 cup per fritter). Fry on one side about 2 minutes or until good and crusty. Turn and fry the other side. Drain on paper towels. Great with last of the garden peas and tomatoes!